A comprehensive package of specially designed furniture modules in conjunction with Furniture Solutions for flexible working. 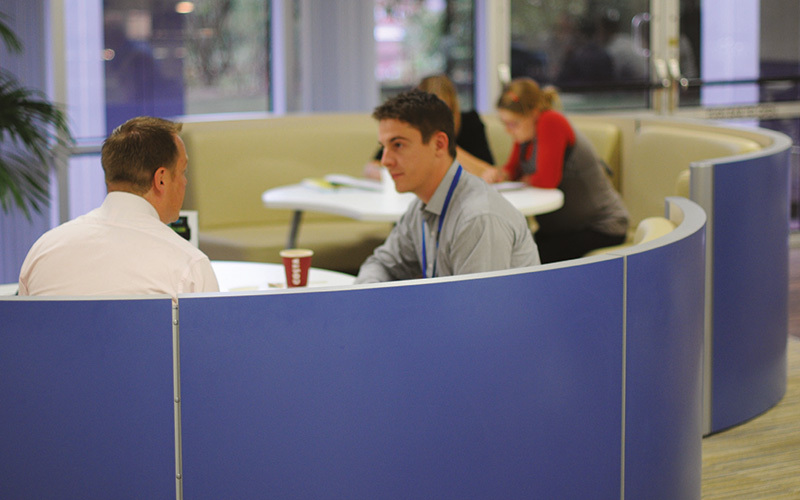 Low level, spacious pods in the canteen area double up for both relaxation and informal visitor or staff meetings. The main working spaces are populated with curved team desking which are reserved electronically each morning with individual lockers provided for personal effects. Pods with touchdowns are available for informal team meetings.